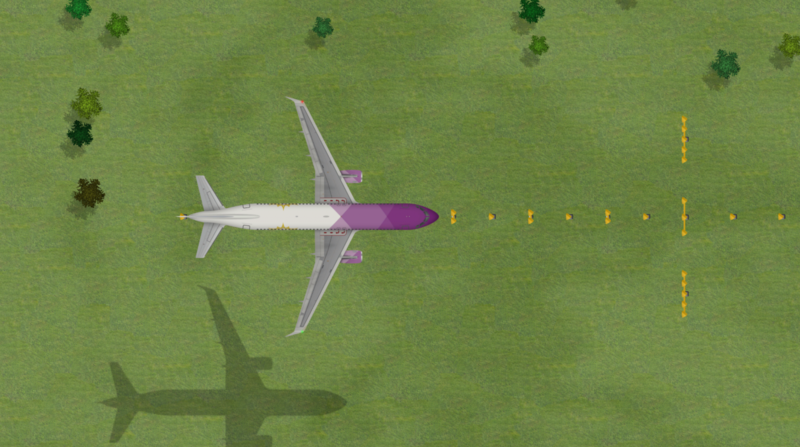 Dev Blog 96: New Office Digs, More on Airline Modding and Welcoming New Airlines! A NICE WIND SWAYING EFFECT DEPLOYED ON THE EXPERIMENTAL BRANCH. Last Week and New Office Digs! Last week naturally contained a lot of effort that went into stabilizing the experimental branch. 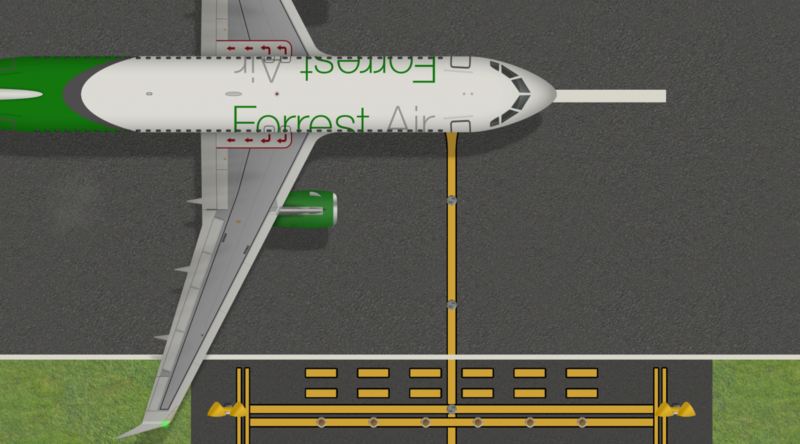 Our goal to deploy Alpha 24 on the default branch has been slightly delayed, partly due to new functionality and new stuff causing additional bugs and partly due to us wanting to finalize airline and livery modding before pushing it, bur more on that below. A lot of time has also gone into resolving our big bug backlog which has become cramped up with unprocessed bugs (i.e. not ignored bugs, just bugs that hasn’t gone through the work flow process) for quite some time now. Today over 100 bugs were processed and either resolved due to being duplicates, already fixed or fixed due to actual development taken place today, or processed and inputted into the system awaiting development. In terms of critical bugs we are currently dealing with two such, one that very rarely can cause corrupt saves and one that equally as rarely at random points in the game can cause a CPU spike freezing the applications. We are working with both and have deployed more logging features to the former bug as well as new and improved tech for compiling the save data while the latter, we believe, has received a proper fix that is available on the experimental branch (Alpha 25.6). If you are on this version and am still experiencing CPU spikes freezing the game we’d very much like to come in contact with you, please file a bug report as soon as possible and we’ll get in touch. We hope deploy Alpha 24 on the default branch this week or (definitely) early next week. No major new functionality is being added now, we are simply focusing on QA and testing the existing implemented features but since there are quite a few major changes in this next version compared to the existing version on the default branch we want to take an extra few days to make sure the transition goes as smooth as possible. The complete change log thread for 23.5 can be seen here, the new change log thread for 23.6 is available here. Another aspect that’s taken up some time this week is the moving in to our new office! Woho! We’ve finally gotten access to a space and have started moving in. We’re not fully in place yet but have moved our equipment there and are from now on working out of this space. Once we’re fully moved in we’ll make sure to share the cauldron of Airport CEO and we can already feel a productivity rise. We will now be able to truly plan ahead and really defined and streamline our work processes and as soon as they have been finalized we will share them with you. If you are on the experimental branch and enjoy the frequent updates you’ve probably noticed that we mistakenly forgot to remove a folder called “Mod” in the Airlines data folder (sometimes we’re a bit too agile…). It was a test folder for our new modding system and even though it only contained a default .png file to edit, a few talented and creative airport CEOs went on and created the first livery mods. Even if this is already possible, we do recommend you waiting until we have released the full mod-kit which will contain editable .psd files for all aircraft types currently in game. We are also actively working together with the community and forum user and community moderator pderuiter, the creator of the unofficial Airport CEO Mod Manager, to further prepare and enable ACEO for airline and livery modding. 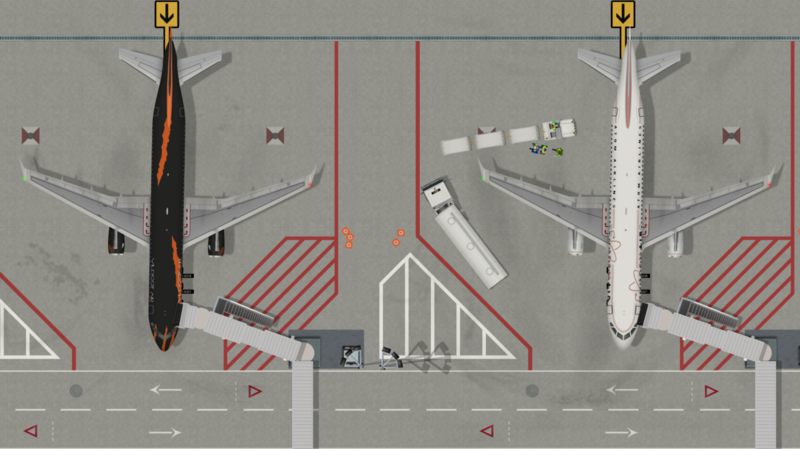 So, to sum up, very shortly you will have all the tools you need to create your very own airline in Airport CEO! The only limitation is that we currently only support livery modding of existing aircraft and not new aircraft types (yet). We are of course planning on implementing this as well, which can be seen in the ACEO develipment roadmap, but as it is a tad more complex it will have to be a bit further down that map. 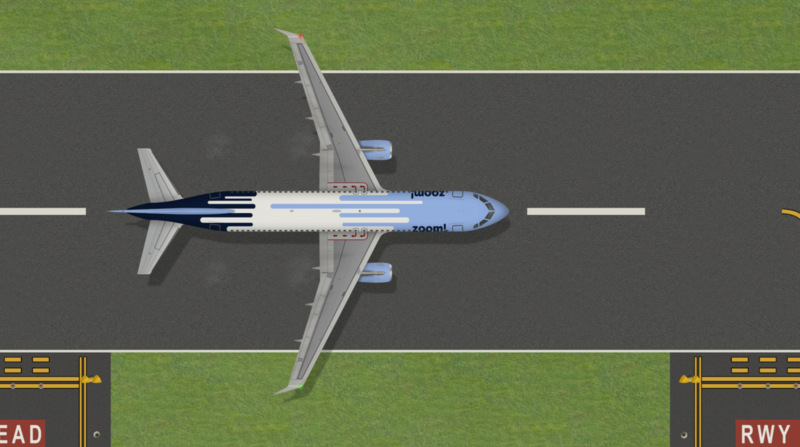 While airline modding will be rolled out with Alpha 24 primarily for testing amongst enthusiasts we do plan to implement Steam Workshop as soon as possible as we realize that this is more or less required to really kick start the modding community. We’d like to give just shortly mention the upcoming flight planner and airline contract change and the fact that it will be a bit delayed as we took a short weekend vacation and had some unfortunate sickness in the team. This, in combination with focusing our efforts on finishing the modding part and the plan to merge the default branch this week, has resulted in a push of the work we intended to implement here. Thus, we will not yet discuss the upcoming changes in detail yet, however, we have done some preparational changes to the code which resulted in a number of different consequences such as the removal of the business class for the airlines in the contract panel. This is not a bug and we apologize that was poorly communicated, but it was one of those areas where we did not think it was worth the effort of backwards compatibility. We will always try and preserve save games as far as possible but sometimes maintaining minor aspects like these just to cope with the legacy can be a real resource drainer that hurt the project in the long run. All of these changes is of course as of yet only implemented on the experimental branch so if you are playing there you will naturally have to live with rapid changes like this. Grass runway is no longer suitable for any medium aircraft. 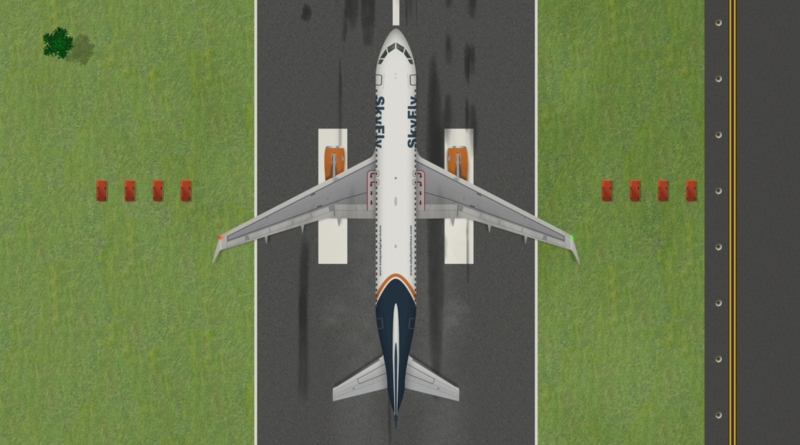 Medium aircraft now requires either asphalt or concrete runway with at least 800 meters in length to be able to land and depart. Some old contracts will have question mark in place of their logos. This is due to contract data changes and new generated contracts should have correct logos. Looks pretty good, huh? We’re so happy for having such a talented community and we hope they are equally happy to see their creations coming to live in Airport CEO. That’s it for this week and we look forward to supply you with a stable Alpha 24. See you through out the week and weekend just as always! Fly safe.